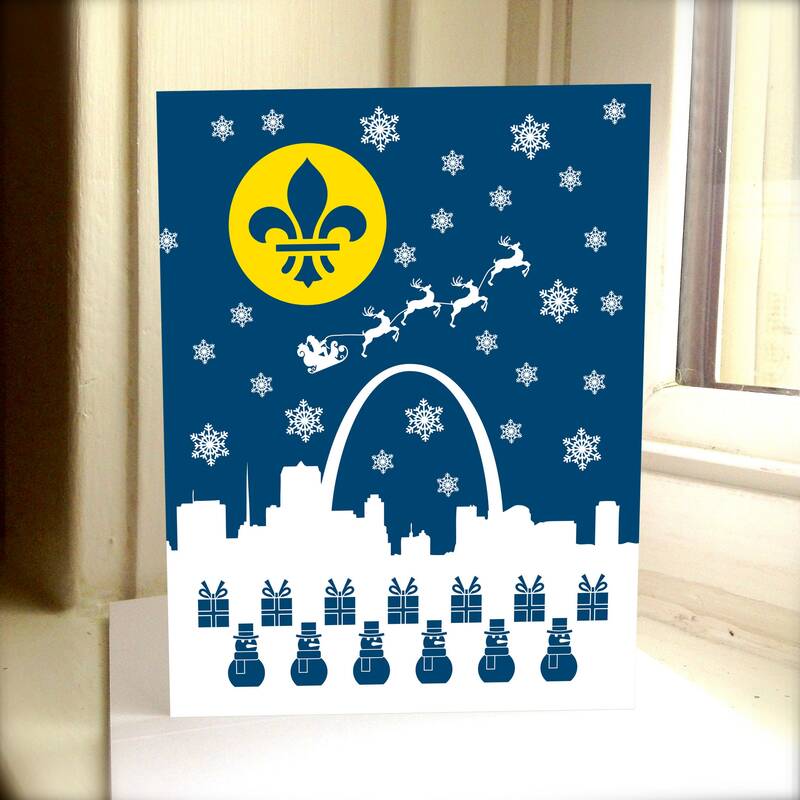 Santa and Reindeer STL Greeting Card! Each card is printed on a white matte card stock. When folded this card measures 5.5 x 4.25. The card comes with an envelope. The paper & envelope color in the photos are a close approximation of the paper colors. With this order you get 1 envelope with each card you purchase. Please message me if you would like other quantities than what is listed. We also have MEOWY CHRISTMAS Cards! We also have HAPPY LLAMADAYS Cards! We also have FELIZ NAVIDOG Cards! This item is shipped flat!